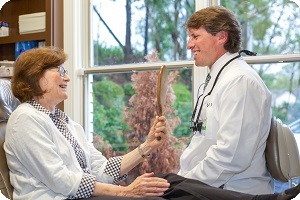 See Why Patients Say Perrigo Dental Care Has The Best Hoover Dentists! 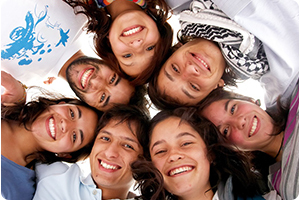 At Perrigo Dental Care, we’ve transformed the lives and smiles of over 50,000 happy patients. Whatever your reason is for visiting our Hoover dentists, we have likely already helped someone in the same situation as your own. We don’t simply rely on our past experience, though! As technology and treatments in the dental field continue to evolve, our Hoover dentists work to hone their skills and knowledge. They spend numerous hours every year learning new and improved dental techniques and educating themselves on restorative, implant, and cosmetic dentistry. 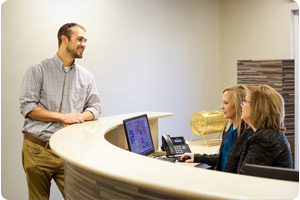 With our extensive experience and dedication, you can count on us to provide the quality dental care that you need in a comfortable environment. Call 205-822-7822 or click here to schedule your appointment today! We also love to offer ways to make dental care fun! For patients undergoing braces and orthodontic treatment, we hold multiple contests with exciting prizes. To find out more about our comfort menu and our contests, call today at 205-822-7822 or click here to schedule your appointment! Here at Perrigo Dental Care, we want you to feel 100% confident with any treatment recommendation that we provide. This is why our Hoover dentists follow a consultative approach whenever you visit our dental office in Hoover, AL. 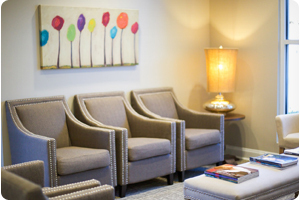 Whether you see us for a general teeth cleaning, dental implants, veneers, dentures, Invisalign, gum disease treatment, or another reason, we will listen to your questions and concerns and ensure that the treatment we recommend aligns with your own needs and wishes. Your opinion helps us to better serve you, so please let us know how we can help you. 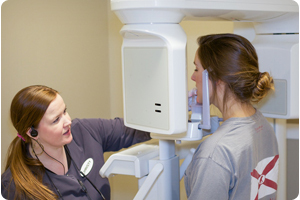 iCat Scanner –The revolutionary iCat Scanner allows us to take 3D digital x-rays of your mouth with significantly reduced radiation exposure. Facebow – The Facebow is a diagnostic device that measures how your bite comes together with exceptional accuracy. It ensures that your bite will be accurately examined and that any dental crowns, dentures, or dental bridges you need will be precisely created and fitted to your unique mouth. Invisalign & FastBraces – For those needing orthodontic treatment, we offer two different incredible options. 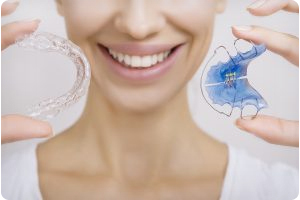 Invisalign’s clear, removable aligners let you straighten your teeth discreetly without altering your lifestyle, while the improved bracket structure of FastBraces® allows patients to straight their teeth in as little as 3 months! Oral Appliance Therapy – If you suffer from the dangers of sleep apnea, you can restore your restful nights – and your health – with our simple, noninvasive oral appliance therapy. Say goodbye to your CPAP machine! Take advantage of our complimentary Perrigo Dental Health Exam to see which advanced technology options can start your journey to your future smile! Call 205-822-7822 or click here to schedule your appointment today! How nice would it be to have a full mouth rehabilitation in the same office where you have your routine teeth cleanings? 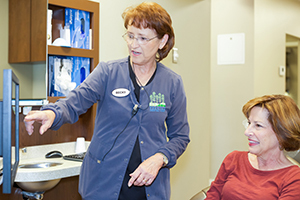 Perrigo Dental Care has set the benchmark in all-in-one dental solutions. From preventative teeth cleanings to full mouth restorations, Perrigo Dental Care has everything under one convenient roof. This means less time tending to your oral health and more time doing the things you love! Click here or call 205-822-7822 to schedule your appointment. 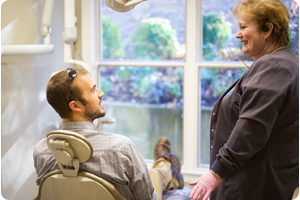 At Perrigo Dental Care, we strive to address your dental needs in the most time-efficient way possible. If you are in pain, discomfort, or are experiencing another oral health concern, our compassionate staff will do whatever they can to get you an appointment on the same day you call. We understand how busy life can get, and addressing an oral health concern as quickly and efficiently as possible is very important. If you’re in need of an emergency dentist in Hoover, AL, please call us at 205-822-7822. Our friendly team is waiting to assist you. We know you’re busy, which is why we offer extended and weekend hours for dental care needs at our dental office in Hoover, AL. You shouldn’t have to wait to receive care for your smile. That’s why we work hard to fit dental care into your schedule instead of making you fit into ours. With Perrigo Dental Care, you can enjoy treatment on your time! If you are suffering pain in your teeth or gums, we are glad to provide a resolution at your appointment. If you have a cavity, we will take care of the decay and get it filled right away. If your resolution needs additional work, Perrigo Dental Care will take care of as much as we can in your initial appointment to bring you relief, and we will take impressions for orders for a follow-up appointment to give you a permanent solution. Our primary goal at your dental appointment is to find the problem, relieve the pain, and prepare for a solution. Click here or call 205-822-7822 to schedule today! If you’ve been on the fence about getting a dental cleaning because you’re worried about you and your loved ones missing work or school, then Perrigo Dental Care of Hoover, AL, is the right place for you! When you choose our expert dentist and dental team, you can look forward to receiving personalized care that works around your life. 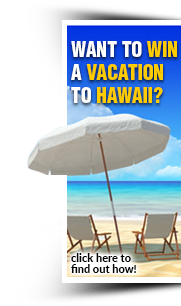 We realize you and your family have busy schedules, often filled with sports, academics, and work commitments. That’s why we offer convenient extended hours before and after work and school – and we even have appointments on Saturdays. We guarantee you and your loved ones will never have to miss work or school for a dental cleaning appointment with us. 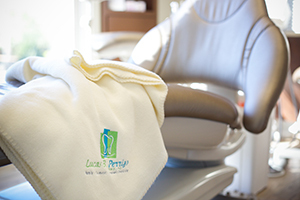 Our goal is to provide you with the highest quality dental care and results that will last a lifetime. dental services offered by our expert dentists and dental team, you’ve come to the right place! Our dental team at Perrigo Dental Care strives to provide you with the most enjoyable dental visit ever. We go above and beyond to ensure that your visit is as pleasant as possible – and that includes keeping your appointment on schedule! 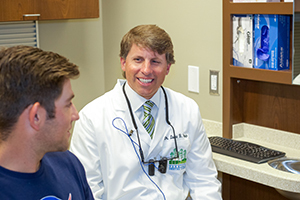 When you visit our Hoover dentists, your time will be spent with our dental team, not waiting to see them. Your time is valuable, and you can count on us to respect it. Click here or call 205-822-7822 to schedule your appointment today! 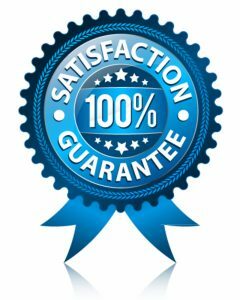 100% Satisfaction Guarantee – If you are not 100% satisfied with the treatment you receive, we will do whatever it takes to make you happy. 100% Perrigo Lifetime Guarantee on FastBraces® – FastBraces® provides a significantly faster alternative to metal braces. At Perrigo Dental Care, we take pride in our work, and we want to provide the most extraordinary experience for you and your family. Click here or call 205-822-7822 to schedule your appointment today! 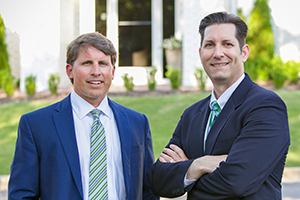 Our Hoover dentists want you to maintain your newly straightened smile for years to come. That’s why we include your retainer with your FastBraces® or Invisalign treatment at no additional cost to you. Our commitment is to ensure you maintain the treatment received from your specialist at Perrigo Dental Care. Find out more about affordable care with braces or Invisalign in Hoover, AL. Call our office at 205-822-7822 or click here to schedule your FREE orthodontic consultation. The journey to your healthiest smile can start today! 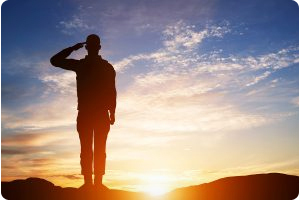 At Perrigo Dental Care, we are honored to serve our local military families with their dental care needs. Dental treatment is an investment that ensures your smile is both healthy and radiant. This is why we offer our military families a 10% discount on all dental care treatment, giving them the opportunity to get the best care for their unique smiles. Call 205-822-7822 or click here to schedule your appointment today! Any time you need medical care, it helps to know whether your insurance is accepted by the office you’re planning to visit. At Perrigo Dental Care, we’re happy to inform you that we accept most types of insurance for your convenience. If you happen to be on a plan that we haven’t worked with before, we’ll do the necessary paperwork to make sure your treatment is covered by your insurance. If you don’t have insurance or if your insurance won’t cover a dental treatment in its entirety, we offer flexible and affordable payment options, too. You should never have to sacrifice expert care for affordable treatment. Your health should never be put on hold due to cost, and we will work with you to create a quality treatment path and affordable payment plan. To learn more about our flexible payment options, call us at 205-822-7822 or click here to schedule an appointment today. Schedule your complimentary, no-obligation Perrigo Dental Health Exam today for FastBraces, Invisalign, dental implants, sleep apnea treatment, or if you’re looking for a second opinion. This session includes a complete dental exam, digital x-rays, and a comprehensive treatment consultation – and ask for more information about our guarantees while you’re here! We are excited to offer a special discounted deal for those of you looking for an overall dental examination. If it’s been a while since your last exam and teeth cleaning, then we invite you to take advantage of our $49 general dental exam, including x-rays, plus you can get teeth cleaning while you’re here for an additional $69. No insurance? No problem! 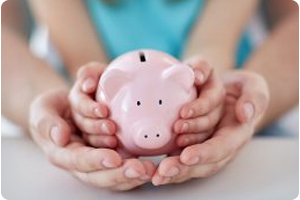 For those without insurance, we also offer a Dental Savers Plan to make achieving your best smile even easier. Welcome to Perrigo Dental Care, we look forward to meeting you and helping you achieve your happiest, healthiest smile! Call 205-822-7822 or click here to schedule your appointment today! We are incredibly thankful for our loyal patients at Perrigo Dental Care. We are fortunate to live in a wonderful community full of people who understand that good things happen when we take care of each other. It’s contagious! One way we give thanks is our Patient Appreciation Days. We believe in our community and the importance of family. Please watch our video from one of our patient appreciation day events. We hope to see you at our next one!